Our newest hearing aid is beyond compare with richer sound quality, an unrivaled full spectrum of streaming, support and personalization with ReSound Assist, and the world’s most advanced rechargeable solution - all in one product. With ReSound LiNX 3D, you will be better at identifying speech-in-noise and be able to hear more of the sounds around you with greater control over your hearing aids. The ReSound online hearing test is a quick way to get an idea of how well you’re hearing. When technology works intuitively, you barely notice it is there. ReSound has been a pioneer in building innovative hearing solutions and makes it easier and more comfortable than ever before to access personalized sound that suits your lifestyle. Hearing aid technology has come a long way from the big, bulky devices of the past. Life is so much more enjoyable when you can hear what’s going on around you. Our hearing aids can help you get back the life you remember. Since 1943, ReSound has improved the quality of life for people with hearing loss, their families and friends. 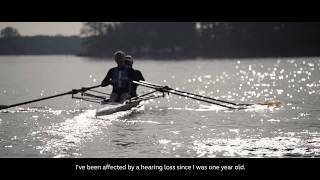 Watch how our hearing aids have changed people's lives.